LOS ANGELES -- Police have identified the student they believe was responsible for stabbing a professor to death at the University of Southern California. Los Angeles police say 28-year-old David Jonathan Brown of Los Angeles was booked on a charge of murder in the death of Bosco Tjan, a psychology professor and neuroscientist. Brown, who was arrested shortly after the stabbing, was being held on $1 million bail. Though details of the motive weren’t released, Los Angeles Police Officer Meghan Aguilar said Tjan was specifically targeted and that the attack wasn’t random. A David Brown is listed as a graduate student in psychology on USC’s website. 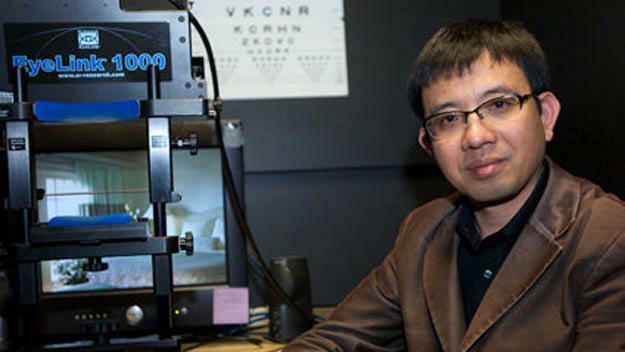 Tjan oversaw graduate students in the department and was killed in the building that houses the lab he ran. Aguilar said Tjan was killed inside the Seeley G. Mudd building in the heart of campus. Aguilar could not say who called police but said it wasn’t the professor or the student. The victim’s age was originally reported as 25. Later, police said they could not immediately confirm the man’s age, CBS Los Angeles reports. Public records list Tjan’s age as 50. Tjan joined USC in 2001, taught in the Dornsife College of Letters, Arts and Sciences, and served as co-director of the Dornsife Cognitive Neuroimaging Center, USC President C. L. Max Nikias said in a letter addressed to the USC community. “As the Trojan family mourns Professor Tjan’s untimely passing, we will keep his family in our thoughts,” Nikias said. Chris Purington, project manager at Tjan’s lab, said he never heard of anyone having a problem with Tjan - a married father of one son - and had no idea who would have wanted him dead. “People talk about scientists as very cold or robotic. Bosco is a guy that he could talk to anybody about anything,” he said. “He couldn’t move through a room without being sidetracked in all these conversations.